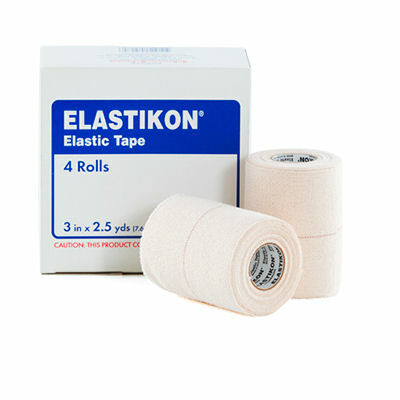 Elastikon Tape (Johnson and Johnson) Sold by a Box of 4 Rolls, Each Roll is 3 Inches wide by 2.5 yards long. Elastikon Elastic Adhesive Tape is a porous and flesh colored, it allows the skin to breathe. Stretches well around uneven surfaces.